sOMEThING - High Quality Polyester String! sOMEThING has been making some of the best high end yo-yos on the market, and now they're creating some high end string that perfectly compliments those yo-yos! sOMEThING strings are made from a high quality polyester that holds tension well and lasts longer than typical polyester strings. It has a really great feel. It's a little on the thinner side and has a nice tight tension that gives you that little extra bounce and breaks in more gradually. 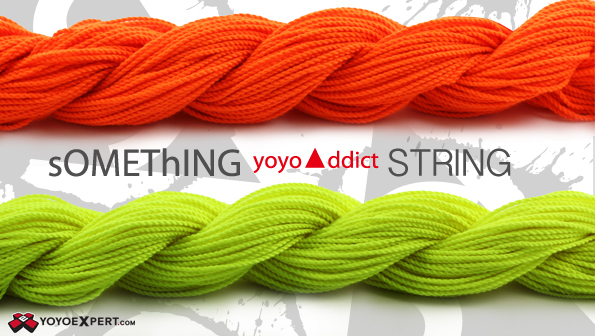 This string is perfect for anything from slow slack play to fast tech tricks! Pick up some new sOMEThING Type 2 yo-yo string and add that something special to your next freestyle!